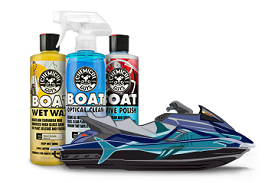 Heavy Duty Water Spot Remover Gel uses advanced technology to remove tough water spots from glass, paint, fiberglass, gel-coat, metal and much more from boats and other watercraft. Heavy Duty Water Spot Remover Gel takes down heavy water spots from seawater and industrial pollution. Salt, minerals, oil, and other ocean pollutants dry up and evaporate from marine surfaces, leaving behind corrosive spots and residue. Without treatment, these minerals and chemicals can etch into the surface and cause permanent damage that cannot be washed off. 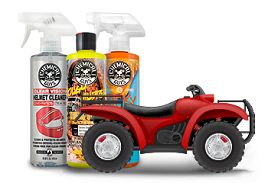 Heavy Duty Water Spot Remover Gel takes down those heavy mineral stains before they can damage your boat’s finish! Water spots plague any part of your boat that is not properly sealed and maintained. 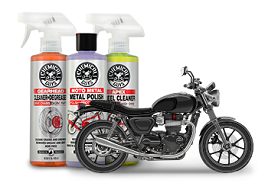 Use Heavy Duty Water Spot Remover Gel to neutralize spots of contamination from paint, clear coat, fiberglass, gel coat, polished metal, glass, plastic, and more. Windows and portholes are especially susceptible to water spot contamination. Use Heavy Duty Water Spot Remover Gel to clean off the intense build-up and restore a like-new condition and appearance! Work 3-5 dots of Heavy Duty Water Spot Remover over 2’ x 2’ area with a microfiber applicator. Re-clean the area with plenty of water, quick detail spray, or waterless wash solution to neutralize the gel.